So, I used to post once a month on a blog called Today’s Housewife. 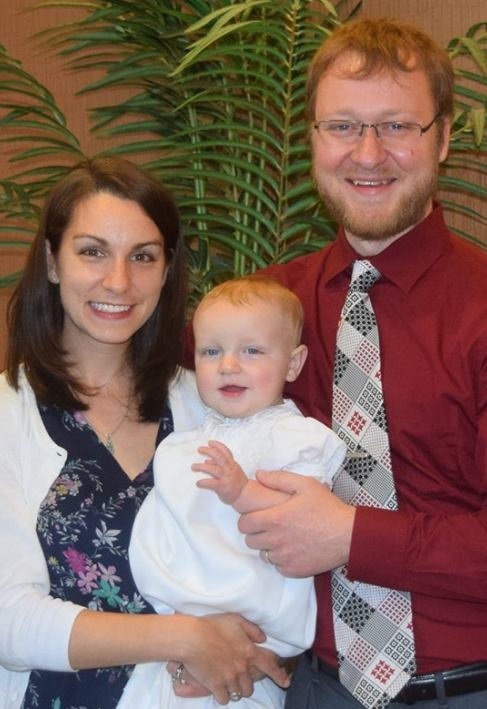 Last fall, the group decided together to stop posting due the busyness of life and families and such. Though sad, I enjoyed being part of the group. As of early January, the blog was officially taken down. 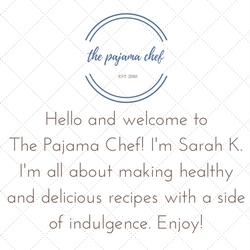 But I don’t want to lose my recipes, so periodically I will be reposting them on here. Enjoy! I love hot soup on cold nights. Though I am not the biggest fan of snowy, icy weather–that is literally just accumulating outside my door at this very moment, I am quite fond of the comfort foods that make up winter eats. Most people think that comfort food equals lots of fat, sugar, and calories. I don’t think it has to. Comfort food is all about flavors that are familiar and welcoming, and oftentimes that can be accomplished with less of the “bad” stuff when combined with the herbs and other seasonings or offset by loads of vegetables. Soups are one of my favorite ways to enjoy my favorite “comfort foods” and flavors without sacrificing nutrition. They are also a great way to warm up on cold nights. Here are links to two of my favorite soups that I have previously shared on my blog… as well as a new one for today. 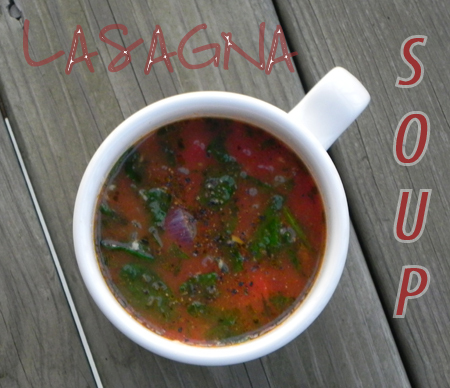 Lasagna Soup… spinach, tomatoes, beef, noodles, and plenty of cheese to make things happy! This is a must make. 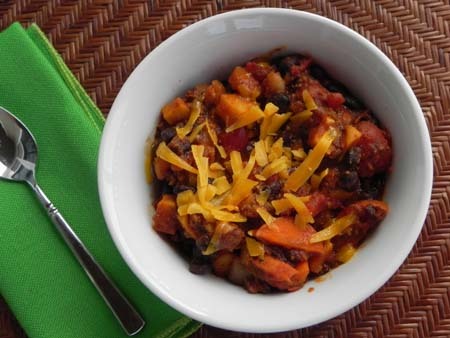 Turkey, Black Bean, and Sweet Potato Chili… a new take on an old classic. 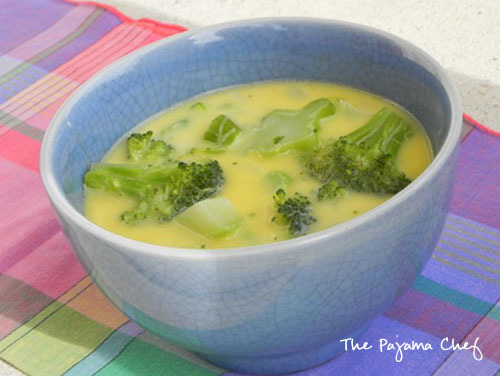 And last but not least, Cream of Broccoli Soup with Cheese. This soup does not disappoint. It is plenty creamy and cheesy to feel indulgent, but is also filling without feeling heavy, thanks to the use of fresh broccoli, skim milk, and flavorful Swiss cheese. Meanwhile, in a small saucepan, melt butter then stir in flour and pepper. Cook for 1 minute, always stirring. Gradually add milk, always stirring to make a smooth sauce. Remove from heat. Remove bay leaf from broth and slowly stir sauce into broth. Add cubed cheese. Heat gently on low until cheese melts. All nice soups – thanks. i am SO craving lasagna soup now, haha. that version w/ pesto is really awesome! Today was the first cool day in Southern California – I’m SO excited for soup! Great roundup. This is a very great healthy treat to have on a cold day, the cheese contains protein and so does broccoli. Great choice, this recipe would be packed with vitamins!